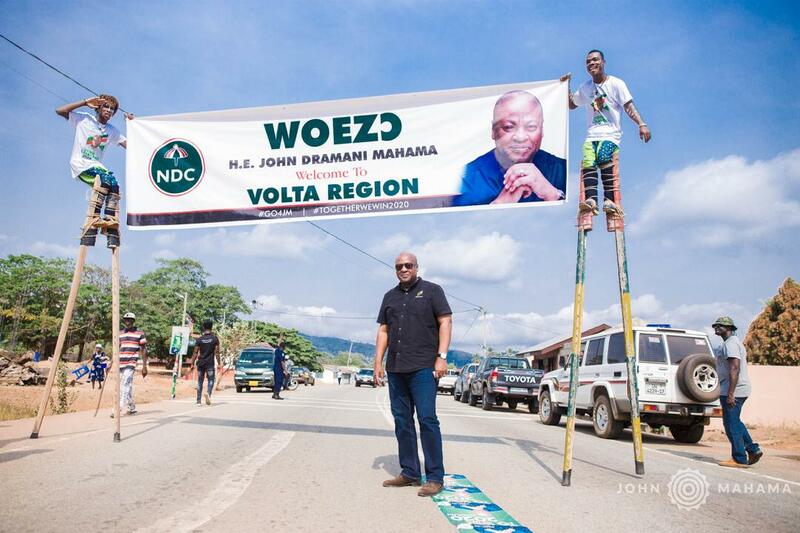 Aspiring NDC Presidential Candidate, John Dramani Mahama, has once again emphasized that the party’s structures, especially at the branch level, has an important role to play in the campaign and election of 2020. Speaking at Golokwati in the Afadzato South Constituency of the Volta Region, the former President said unlike previous elections, the National Democratic Congress will deploy strategies to bring out its supporters and sympathisers to the polling stations to vote. Mr. Mahama reminded the party that elections are won or lost at the polling stations, adding that the executives at the Branch Level must make sure that the people they select as polling agents are the right people and who will make sure that the right thing is done. “We know that when the right thing is done at the polling station and an election is clean, transparent, and fair, NDC will emerge the winner” he added. President Mahama who is on a six-day campaign tour of the Volta Region, asking for votes to lead the NDC to the next elections, assured the party’s delegates that he will work with them to match the NPP at all fronts and win the 2020 elections. On development, the former President said the NDC brought fundamental changes to the Afadzato South constituency, with the extension of electricity and pipe borne water to many communities, among others. Touching on the abandoned eastern corridor road, Mr. Mahama said the entire stretch of the corridor was programmed to be completed in 2018 but has remained stalled following the stoppage of work by the NPP and President Nana Akufo-Addo on assumption of office in 2017. Despite his promise in 2018, President Akufo-Addo is yet to order a resumption of work on the road network, which continues to deteriorate and making travelling uncomfortable.